CARFAX 1-Owner, GREAT MILES 32,175! FUEL EFFICIENT 28 MPG Hwy/21 MPG City!, PRICED TO MOVE $700 below NADA Retail! xDrive28i trim. Power Liftgate, iPod/MP3 Input, All Wheel Drive, Aluminum Wheels, Turbo Charged Engine. SEE MORE! Power Liftgate, Turbocharged, iPod/MP3 Input Rear Spoiler, MP3 Player, All Wheel Drive, Onboard Communications System, Aluminum Wheels, Keyless Entry, Privacy Glass. Edmunds.com's review says "We've found that the X3's front seats provide great support for both long road trips and enthusiastic drives on back roads. Materials quality is first class, with understated wooden trim, brushed-metal accents and a general refinement that elevates the cabin ambiance.". 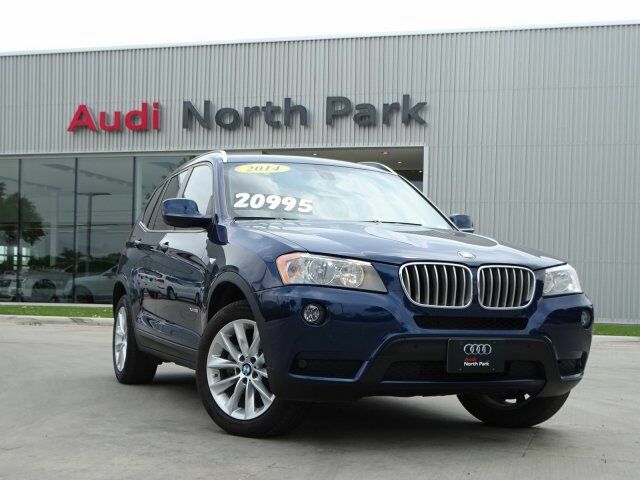 This X3 xDrive28i is priced $700 below NADA Retail.